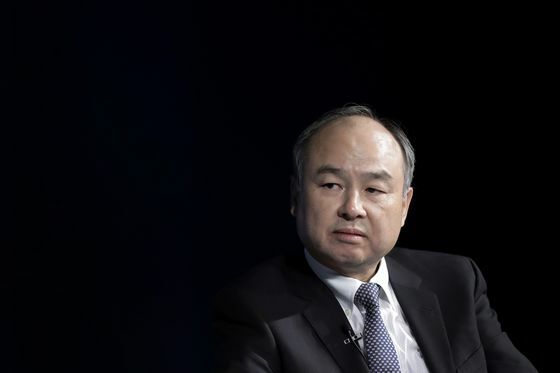 (Bloomberg) -- Masayoshi Son will soon have some evidence to back his faith in ride-hailing: His stake in Uber Technologies Inc. may be worth at least double the $7.7 billion he paid for it little more than a year ago. SoftBank Group Corp.’s Vision Fund owns 16.3 percent of the world’s biggest ride-hailing company, according to Uber’s filing with the U.S. Securities and Exchanges Commission on Thursday. Uber is reported to seek a valuation of between $90 billion and $120 billion for the initial public offering planned in May, putting SoftBank’s share between $15 billion and $20 billion. Son is betting big that hitching rides via an app and autonomous vehicles are the future of transportation. In addition to Uber, SoftBank has poured more than $10 billion into China’s Didi Chuxing, $3 billion into Southeast Asia’s leading provider Grab and $2.25 billion in General Motor Co.’s self-driving unit Cruise. Son has said that put together, Vision Fund’s portfolio companies control 90 percent of the ride-hailing market worldwide. Uber was last valued at $76 billion on the private markets when Toyota Motor Corp. invested in 2018. Last year, bankers jockeying to lead the IPO told Uber it could be valued at as much as $120 billion in a listing. Two Uber executives received some awards tied to the company’s market capitalization reaching $100 billion, according to the filing Thursday. A Wall Street Journal report a day earlier also put the number at $100 billion. Didi is valued at $56 billion and Grab at $14 billion, according to researcher CB Insights. Valuation expectations can change significantly leading up to a listing and it’s far from clear whether it will stick after the company goes public. The filing showed that Uber racked up a $3 billion operating loss last year and that growth in its core business is decelerating. Smaller rival Lyft Inc. has fallen 15 percent since it went public last month. Son himself has indicated that he is in it for the long haul. At an earnings briefing in February, he showed a black-and-white photo of New York’s Fifth Avenue in 1900, thronged with horse-drawn carriages. Another photo of the same street 13 years later was full of Henry Ford’s Model Ts.